Jamaican Reggae music king, Bob Marley, a soft-spoken man who belonged to the Rastafarian faith, died of cancer on May 11, 1981, at Cedars of Lebanon Hospital in Miami. He was an almost Messianic figure in the Caribbean, West Africa, and Europe. The first superstar from the Third World. 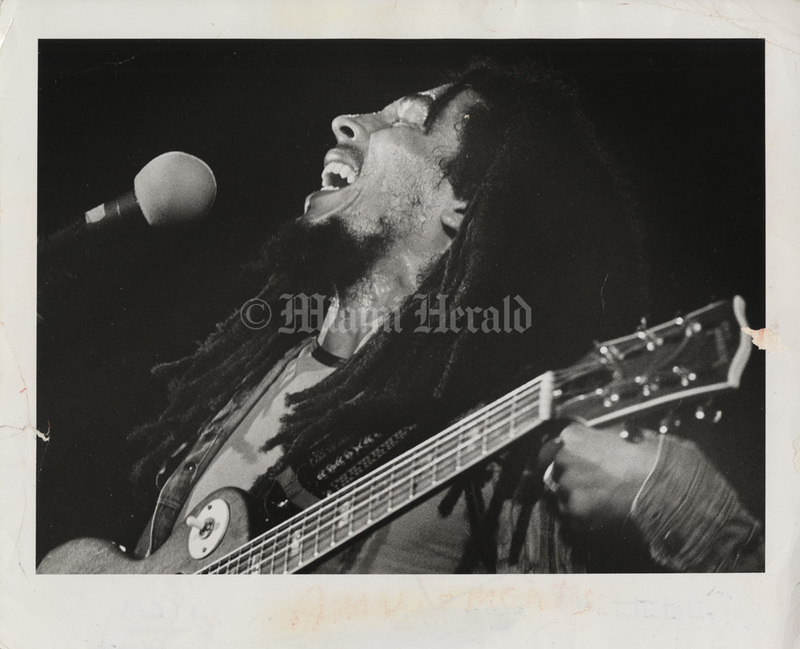 The photo below was taken on Aug. 5, 1978, during the Bob Marley and the Wailers South Florida debut concert at the Miami Jai Alai. Marley, who had a house in South Dade, felt at home on the Miami Jai Alai Fronton stage, his hair flying, holding nothing back. He leaped, kicked and careened across the stage like some manic marionette, his vocals on Rastaman Vibration and Rebel Music radiating the energy of outrage, the insistence of love. 8/5/1978, Susan Greenwood/Miami Herald: Bob Marley makes it finally to Miami, along with his Wailers.